Eligible for many race series around the world, this sensational new Elise GT has been developed to meet the high demands of the track, with a raft of performance-oriented features as standard. Packing a supercharged, 1.8-litre 4-cylinder engine with a 6 speed manual gearbox, the Elise Race 250 boasts 243 hp at 7200 rpm and an impressive 250 Nm of torque between 3500 rpm and 5500 rpm. Don’t be fooled! This car is not a tuned up version of its equivalent F430 brother. Ferrari engineers developed this vehicle for the track with the precise intent to succeed in some of the most competitive racing leagues throughout the world, and they achieved their goal! With more than 100 victories over the past 6 years, the F430 GT in its various configurations is one of the most successful race cars in Ferrari’s history, and now you can drive one! To be a true race car driver you have to drive a true race car and so straight out of the worlds fastest one-make series the Lamborghini Super Trofeo is just that! The Gallardo LP 570-4 Super Trofeo is based on the proven chassis and mechanical platform of its predecessor, essentially a lightweight version of the Lamborghini Gallardo LP 570-4 with 570hp, highly tuned breaking, aerodynamics and aggressive styling this is the car that boyhood dreams are made of. Porsche GT race cars are among the most popular and successful cars in motorsports, and this latest model surpasses its predecessors in every way. The 3.8-liter flat-six engine generates 460 horsepower that, when combined with improved aerodynamics and an extraordinarily lightweight body, delivers speed with incredible smoothness. For more precision and stability, the suspension has been modified and the wheelbase widened. With massive shoes to fill by the the highly successful but departing F430 GT. Ferrari stepped up its game with production of the 458 GT. Ferrari saw immediate success winning the 24 Hours at Le Mans. Once thought only available to professional drivers, or “gentleman” racers, you can now get behind the wheel of ours on our race track. Lamborghini’s legendary Squadra Corse combined forces with famed chassis expert Dallara and designed this race car with the goal of dominating everything in its class. 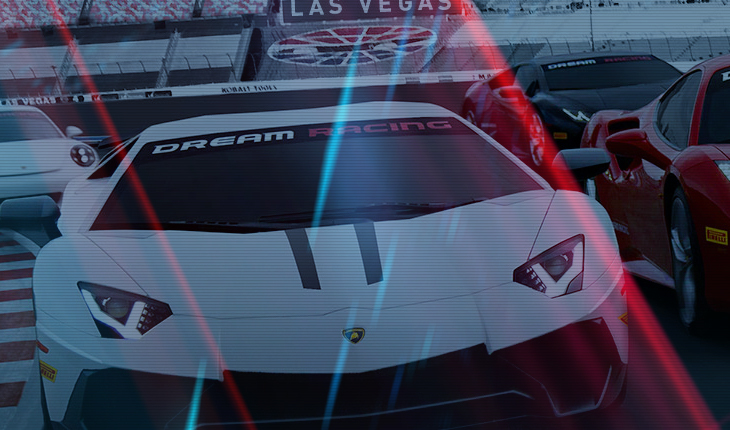 Dream Racing is excited to bring you the chance to drive a car once reserved for professionals at the top of their game and an experience found nowhere else in the world. Your dream comes true with this complete package including 5-laps behind the wheel of our Racing Cars. 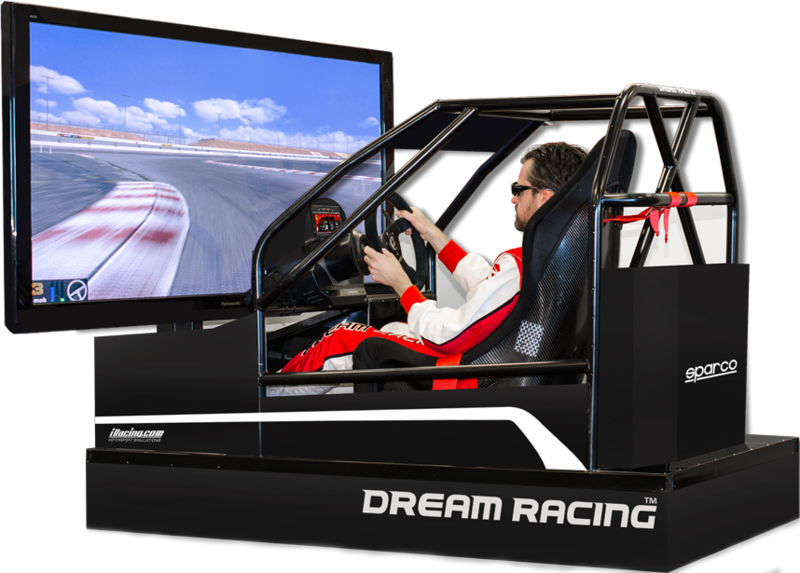 Extend your Dream Racing experience with an additional 2 laps. By the 7th lap you will be cornering like a pro. This package includes 2 driving sessions (5 and 6 laps). Between sessions an instructor will review your performance and offer tips on speed. The Extreme Package consists of training in the simulator followed by a 6 lap session and 2 driven demo laps. Then a 7 lap session, telemetry analysis with a final 7 lap session. In addition to the Extreme Package, receive a pair of your own racing shoes, gloves, a video of your experience and a telemetry print out of your racing statistics. Often imitated never duplicated, this is for the true motorsports enthusiast. Follow the footsteps of a pro race car driver and experience an adrenaline-packed, half-day program. Put your helmet on, strap into the passenger seat and let a pro driver show you what our dream cars are capable of for 2 exhilarating laps. Stealing styling cues directly from its Veneno big brother, the SV’s wild new body features new doors, new rocker panels and new fenders to house its massive wheel and brake package. Filling the shoes of the much anticipated, but short lived McLaren MP4-12C. The McLaren 650S steps up and it steps up big! An authentic five-star driving experience at Las Vegas Motor Speedway and features the world’s largest and fastest selection of Supercars and the only one where you can get behind the wheel of a real racing Lamborghini, Ferrari or Porsche Race Car. No matter which package you choose, we promise to deliver you a once in a lifetime exotic car racing experience. An all inclusive driving experience on track that shows you what it means to be a race car driver. The concept is simple: a culmination of its founders’ passion for racing and years of experience as instructors and directors at the most prestigious driving experiences and driving schools in the world. Don’t miss this unique opportunity to try your hand at racing these exotic cars. 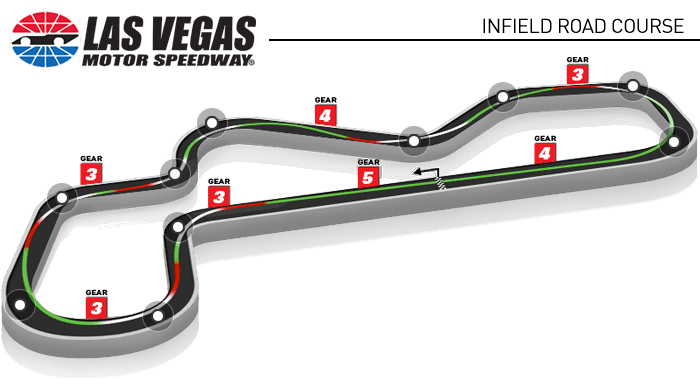 Our track is a 1.2 mile, 9 turn road course located in the center of the Las Vegas Motor Speedway. 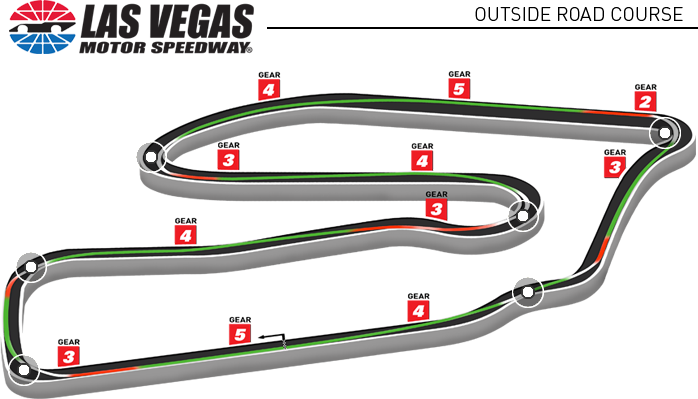 The average cornering speed for this course ranges from 80 kph on the first left handed corner to 135 kph. The Ferrari F430 GT can reach speeds up to 220 kph / 135 mph in the straight away and lateral G-Forces up to 1.6. This challenging track is the perfect location to race on. It offers visibility of every upcoming portion of the track allowing you to improve on every lap. It shares many characteristics of a F1 street course with small elevations changes and slightly bumpy corners, making the ORC a great and fun experience. The 1.2 mile 10 Turns ORC offers everything, from very tight technical hairpins to fast chicanes and sweeping turns. The front straight has a slight down hill before heading into the slightly bumpy heavy breaking zone.